Thursday (tonight): Piilani Arias. Friday: Kapali Keahi. Saturday: Gary Larson. Sunday: Joseph Chee. 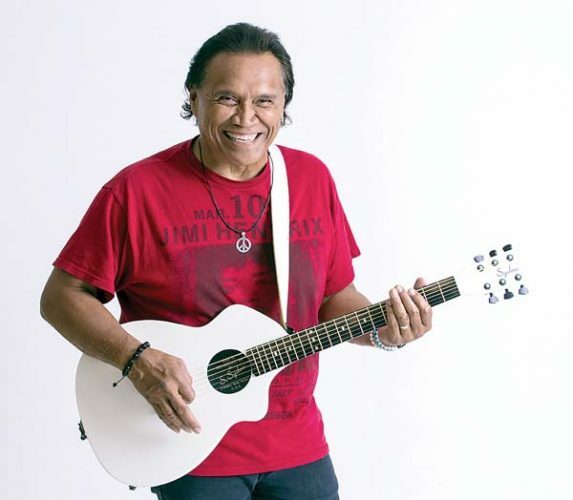 Monday: Kincaid Kipahu. Tuesday: Brian Haia. Wednesday: Kalani Smythe. Music from 5:30 to 8:30 p.m. At the Bar Saturday: Dayan Kai (pianist), 6 to 9 p.m. Sunday brunch: Gary Larson Duo, 9 a.m. to noon. 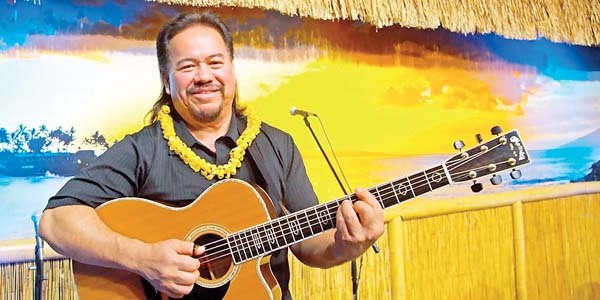 Thursday (today): Ben Deleon, 3 p.m.; Garrett Probst and Keali’i Lum, 6 p.m. Friday: Garrett Probst, 3 p.m.; Damon Parrillo and Tim Osbourne, 6 p.m. Saturday: Keali’i Lum, 3 p.m.; Damon Parrillo and Ron Hetten Oversize Productions, 6 p.m. Sunday: Keali’i Lum, 3 p.m.; Damien Awai, 6 p.m. Monday: Keali’i Lum, 3 p.m.; Danyel Alana and guest, 6 p.m. Tuesday: Ben Deleon, 3 p.m.; Roy Kato and guest, 6 p.m. Wednesday: Garret Probst, 3 p.m.; Malanai, 6 p.m.
Thursday (today): Keali’i Lum, 2 p.m.; Damon Parillo and Jack Sone, 6 p.m. Friday: Derick Sebastian, 11 a.m.; Hula shows, 2 to 5 p.m.; Kawika Lum Ho and Roy Kato , 6 p.m. Saturday: Kawika Lum Ho, 2 p.m.; Danyel Alana and friends, 6 p.m. Sunday: Josh Lum, 2 p.m.; Lahui, 6 p.m. Monday: Ua Aloha Maji, 2 p.m.; Keali’i Lum and friends, 6 p.m. Tuesday: Kawika Lum Ho, 2 p.m.; Wili Pohaku, 6 p.m. Wednesday: Danyel Alana, 2 p.m.; Ernest Pua’a, Roy Kato and Kamuela Hamakua, 6 p.m.
Daily: Live music from 5:30 to 7:30 p.m.
Thursday (tonight): Ma’a, 6:30 p.m. Friday: Willie K, 9 p.m. Saturday: Ma’a, 6:30 p.m. Sunday and Monday: Benny Uyetake and Rock Hendricks, 6 p.m. Tuesday and Wednesday: Sam Ahia, 6:30 p.m.
Point Lounge 3 to 5 p.m.: Thursday (today) and Tuesday: Will Hartzog from Jasmine Rice. Friday, Sunday and Wednesday: Peter DeAquino. Saturday: Brian Massa and Meryl Yecies. Monday: David Wolf. Dining Room 5:30 to 8:30 p.m.: Thursday through Saturday and Wednesday: Ranga Pae. Sunday and Monday: David Wolf. Tuesday: The Benoits. Sunday brunch with Ben Deleon, 10 a.m. to 1 p.m.
Sea House Restaurant: Thursday (tonight), Friday, Saturday and Wednesday: Fausto Allosada, 7 to 9 p.m. Sunday, Monday and Tuesday: Albert Kaina, 7 to 9 p.m.
Thursday (today): Greg di Piazza, 5 to 8 p.m. Tuesday: Ah-Tim Eleneki, 5 to 8 p.m.
Friday: Maui House Collective featuring Collelo. Saturday: DJ Illz. Sunday: Deep House and Beach Dayz with Collelo. Tuesday: Karaoke A Go Go. Wednesday: Sin Night with Andrew Dana. Thursday (tonight) to Monday: Contemporary music. Tuesday: Derick Sebastian. Wednesday: Classic jazz. Music from 8 to 11 p.m. Daily: Hula with Hawaiian music, 5:30 to 7:30 p.m.
Daily: Live contemporary Hawaiian music, 5 to 7 p.m.
Thursday to Saturday and Wednesday: Live entertainment, 8 to 11 p.m.
Friday: Dat Guyz, 9:30 p.m. to closing. Saturday: Reggae band, 9 p.m. to closing. Sunday: Karaoke, 8 p.m. to closing (service industry night). Monday: Karaoke, 8 p.m. to closing. Tuesday: Karaoke, 9 p.m. to closing. Wednesday: Open Mic Night, 9 p.m. to closing. Thursday (tonight): Roy Shadian, 6:30 to 8:30 p.m. Friday: Roy Shadian, 6:30 to 8:30 p.m. Saturday: Makai Jazz, 6:30 to 8:30 p.m. Sunday: Celtic Tigers, 7 to 9 p.m. Monday: Willie K., 6:30 to 8:30 p.m. Wednesday: Louise Lambert’s Beatles Sing-a-Long Celebration, 7 to 10 p.m., tickets $25, $30 at door. Call for reservations. 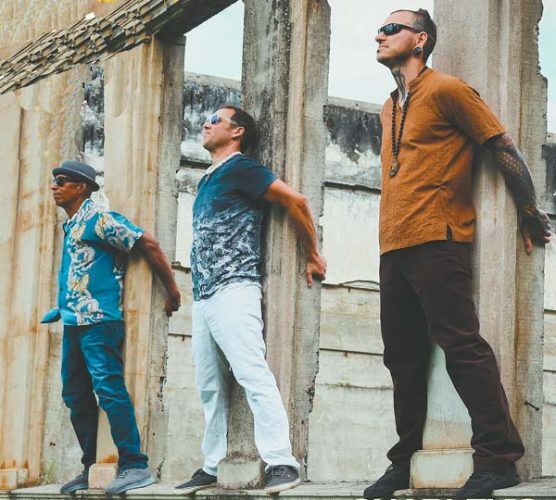 Sunday: Kaulike Pescia from 5 to 9 p.m.
Friday: DJ Nu-Mark with special guest DJ Boomshot, 9:30 p.m. Saturday: Maui Pranksters, 9 p.m., $10; Monday: Charley’s Live Band Open Mic and Jam, 7 to 10 p.m. Tuesday: Tom Conway, 6:30 p.m. Wednesday: Ryan Robinson, 6:30 p.m.
Saturday: John Zangrando and Gene Argel, 2 to 4 p.m.; Maui Blues and Company, 4 to 6 p.m. Sunday: Richard Dancil, 2 to 4 p.m.; John Zangrando and Mark Johnstone, 4 to 6 p.m.
Thursday (tonight) and Saturday: Karaoke with Brant Quick, 9 p.m. to midnight, free. Friday: Prem Brosio, jazz and pop guitarist, 8:30 to 11:30 p.m., $5. 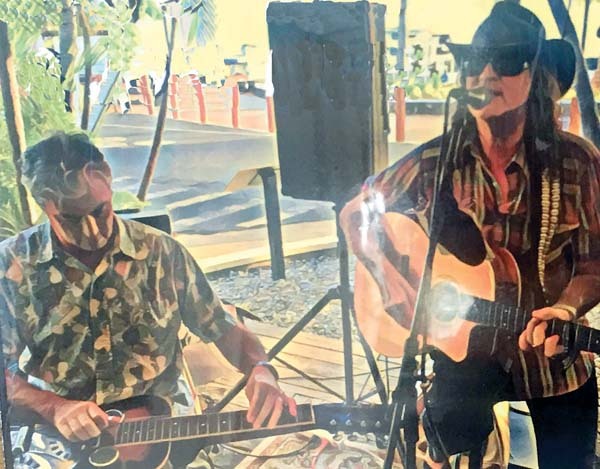 Friday: Aloha Friday Music Series with John Zangrando and Damon Parrillo, 11:30 a.m. to 1:30 p.m.
* Attention clubs and restaurants: Please send your live music schedule to scenelistings@mauinews.com 10 days prior to publication date.